Can You Decipher This Gaelic Text? 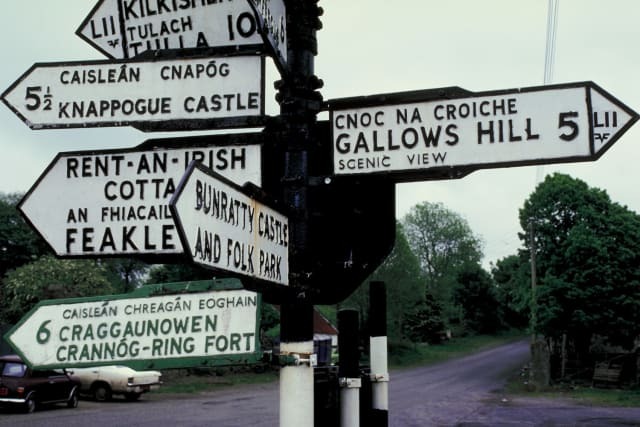 Gaelic is an ancient form of English but is still used in Irish tradition today. It's interesting to see how much Gaelic sounds like English, but don't be fooled it's quite difficult to decipher! Let's see how you do! Faigh do uillinn amach ón tábla. The tablet will tell you what it means. Please, sit at the table.